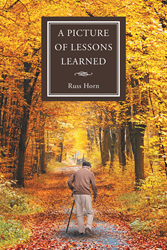 Recent release “A Picture of Lessons Learned” from Page Publishing author Russ Horn is a thought-inspiring account that delves into the meaning and purpose of one’s life. Russ Horn, a former Army for twenty years, and construction worker for fifteen years, has completed his new book “A Picture of Lessons Learned”: a heartwarming account filled with lessons about life that inspires the soul with a novel viewpoint. “Life will not always be what you hope for. Accept that fact, for it will become reality. Thus, try to laugh and smile often, not anger and bitterness. Published by New York City-based Page Publishing, Russ Horn’s enthralling compilation enlivens all aspects of a person’s well-being with the daily bread of thoughts for a purposeful living. Readers who wish to experience this moving work can purchase “A Picture of Lessons Learned” at bookstores everywhere, or online at the Apple iTunes store, Amazon, Google Play, or Barnes and Noble.